iShopping.pk has put together a first class category for the endless internet users prowling the country of Pakistan. The issues that are being faced are critical due to digital technology becoming a compulsory and practical form. In order to face this debacle, we have collected a fine line of wireless routers to simplify the internet speed processing. This online platform has greatly benefited with the Wi-Fi routers as they are in huge demand on a daily basis. The younger generation is desperate for faster internet capability to enable them to increase their educational and social presence on the internet. Its ability to spread the range of the internet to a secluded space is the special feature albeit becoming quite common. 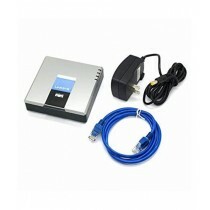 The variety of routers although possessing the same abilities is different in their approach and capacity. The speed is the main reason and thus gives users the chance to purchase routers based on budget and amount of speed they require coursing through it. Dual core processor for speed range, efficient connection tracking systems are all required in a wireless router and are available in great quality and quantity at iShopping.pk. Routers are not always able to provide the right amount of internet to certain high tech device. Smart tech dices like smart phones, tablets and gaming consoles require an increased compared to older devices. Fortunately for you, we have bands and antennas available that will equally separate the internet Wi-Fi to the connected devices. Routers also contain certain limits as to how much GBPS speed they can contain. 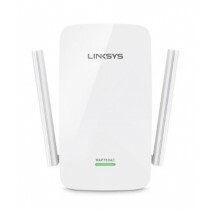 In retrospect, iShopping.pk presents routers that have a range up to 3.2 GBPS. The security of these routers has to be immaculate and these top notch devices have every technical settings configured to ensure proper security channels for the Wi-Fi. The AC router series has solved the long term problem of internet usage in Pakistan. For iShopping.pk, this proves their market worth and is another feather in their cap.